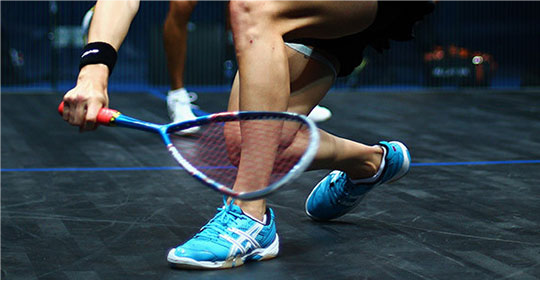 El Gouna International Squash Open seventh edition top-class draw is released for the PSA World Series tournament and it is expecting heated matches from 20 April to 27 April in Egypt’s Red Sea resort, El Gouna. Under the auspices of Egypt’s Ministry of Youth and Sports and the Egyptian Tourism Authority, the world’s best squash players will assemble in Egypt for Gouna International Squash Open. “This year’s tournament features a women’s World Series tournament alongside the men’s event for the first time in history, with a total prize fund of $US 330,000 split equally between both draws. The qualifying rounds take place between April 18-19 at the El Gouna Squash Complex, while the main draw will be staged between April 20-27, with matches split between the glass court situated at El Gouna Marina and the qualification venue,” according to the press release of el-Gouna International Squash Open. “For the men’s draw, world number one Mohamed el-Shorbagy heads up the men’s draw opposite number two seed and defending champion Gregory Gaultier, who faces Egyptian maverick Mazen Hesham in the opening round, while el-Shorbagy will line up against a qualifier and wildcard Moustafa Assal is set to meet Tarek Momen in the first rounds. As for the women’s draw, world number one Nour El Sherbini gets her tournament underway against England’s Emily Whitlock in round one, while World Champion Raneem El Welily, El Tayeb, King, Massaro and David all face qualifiers and wildcard Rowan El Araby to meet India’s Joshana Chinappa in round one,” the press release further added. The men’s seeding quarterfinal predictions expect Mohamed el-Shorbagy set to meet Simon Rosner while Karim Abdel Gawad set to meet Marwan El Shorbagy, Aly Farag set to meet Tarek Momen and Gregory Gaultier set to meet Mohamed Abouelghar. The women’s seeding quarterfinal predictions expect Nour el-Sherbini set to meet Camille Serme, Nicol David set to meet Laura Massaro, Nour El Tayeb set to meet Nouran Gohar and Joelle King set to meet Raneem el-Welily.